It was seven thirty in Saturday morning , kids and parents lining up in the city streets to gets the best spot to see the parade. The event, which marks the countdown to Christmas,is in its 82nd year now . The first Christmas Pageant held in 1933, created by Sir Edward Hayward, who was the grandson of Mr E.W. Hayward; the Pageant featured approximately eight floats, four bands and ran for around 40, minutes with 200,000 spectators came to watch the Pageant. This year the event’s theme is ‘Share the Pageant with Someone you Love’,With 63 floats and just over 170 moving performing sets in this year. According to the organizer, an estimated 345,000 people attended the event. 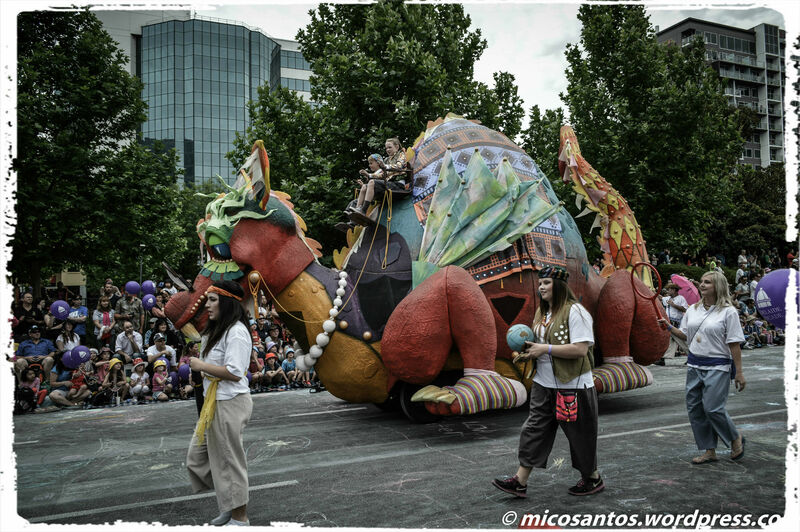 This is my second time here in Adelaide Christmas Pageant and much bigger than last year,my kids enjoyed the Pageant itself with some old favourites and some that are gracing the streets for the very first time. What’s big, hot pink, fluffy and has fangs and horns? Bruto – the friendliest monster ever! He’s nothing to be afraid of and two lucky children even get cuddled in his arms as he makes his way along the Pageant route. He’s so fluffy; you have to wonder how he doesn’t get too hot in the summer heat! Pogo was built in 1997 by artist David Blight and the Stardust Castle team, riding his big bike along the Pageant route each year. He is an iconic face of the Credit Union Christmas Pageant. It takes five hairdressers to do his hair every event just for media interviews! The big smile on Pogo’s face is also reflected on the smiles of the audience cheering him on. Fergus is the friendliest fire truck known to mankind and he’s on stand-by just in case there’s a fire in the North Pole! As part of the Pageant for the last few years, Fergus has become a favourite with the children. There are elves on board too and a ‘snow machine’ making the float a spectacle to see. Nipper and Nimble are two beautiful, graceful horses with a history that dates to the late 1800s, having been first enjoyed in the original Magic Cave. Both Nipper and Nimble appeared in the first Pageant in 1933. 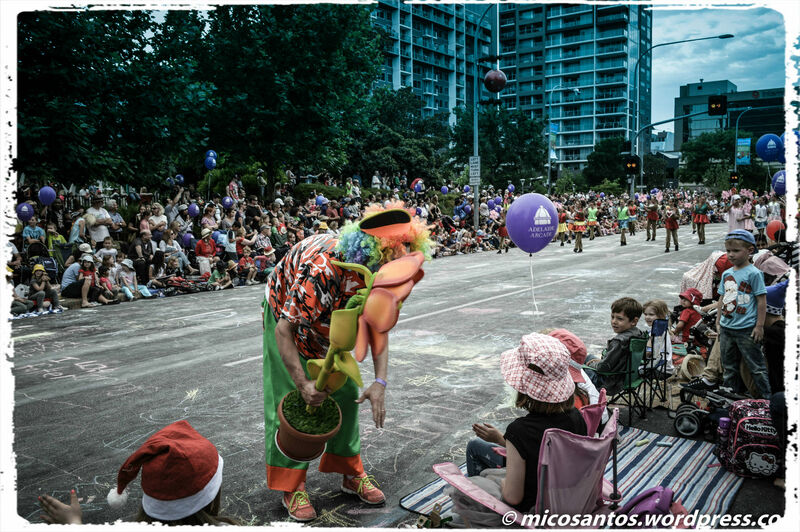 Since then, Nipper and Nimble have become two of the most popular characters in the Credit Union Christmas Pageant, not missing an event since their first appearance. The Pageant comes to an end when Father Christmas enters the Magic Cave at David Jones on North Terrace at approximately 11.20am.